Hello Cocomong! I can Dance! I can Sing! I can Read! So, I can speak English! Step by Step Secrets of English studying used in kindergarten!!! ■ What is Hello Cocomong & Smart English? Cocomong sings and dances in English. We melted professional English teaching method into fun songs and dancing. 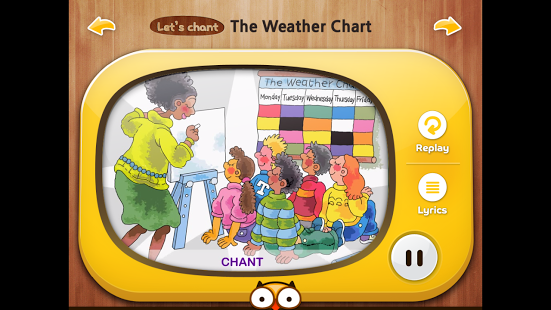 Complete Alphabets by chants, songs, quizzes, and various activities. 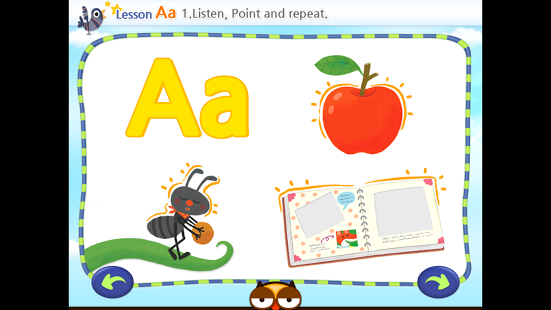 We can make your kids learn each alphabet sound fun and easy. The light storybooks consist of kid-friendly items such as imaginary world, animals, friends, and etc. Fun and validated reading workbooks currently used in American school! This essential step gives your kids to have the same experience as native speakers. 10 episodes of “Little Phonics”! Complete Alphabets. 7) Where is my Bone? 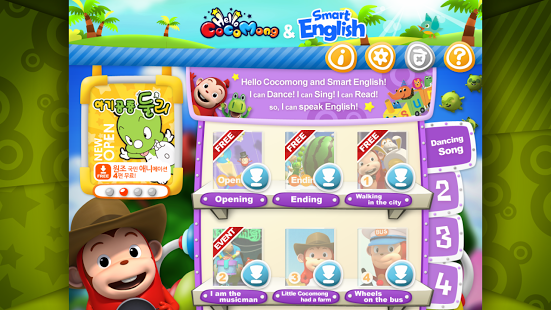 ★ Hello Cocomong & Smart English application is provided by the smart learning brand ToMoKiDS. – We provide hundreds of study materials and must-read books for the kids aged 3-7. – We deal with education contents over the all categories including fairy tale, English, Korean, mathematics, activities, animation, and etc. – Awarded as 'Best Application' on 'The 3rd Korea Mobile Award'. – Selected as 'Recommendation material' by Korean Electronic Publishing Association 2013. – Do you worry about contents missing? à'Restore purchased Items' will restore your purchase history when you reinstall application. – Do you worry about unexpected contents purchase? à'Purchase Lock' will protect extra purchasing from buying mistakenly. – Haven`t you feel interrupted with frequent notifications? à'Push Notification' will control the all alarms at once.